This website (hereinafter the “Site”) is created, produced, published and hosted by HAVAS EDITION, a French general partnership with share capital of €81,136, entered in the Nanterre Companies Register under no. 402 960 694, whose head office is located at 29/30, quai de Dion Bouton – 92800 PUTEAUX. Browsing on this Site is subject to the regulations in force. These Legal Notices from the Site form the general terms and conditions of use of the Site (hereinafter “the General Terms and Conditions of Use”) to which Users are subject when they browse the Site. Access to and use of the Site involves the unreserved acceptance by the User of the provisions stipulated in these Legal Notices. Access to and use of the Site involves the unreserved acceptance by the User of the General Terms and Conditions of Use. HAVAS EDITION reserves the right to amend the General Terms and Conditions of Use (Legal Notices and Confidentiality Charter) at any time. The latest version in force of the General Terms and Conditions of Use is permanently accessible on the Site via the “Legal Notices” tab and can be viewed at any time by Users. The User who does not want to accept all or part of the General Terms and Conditions or a later amendment, should not use the Site. The Site is freely accessible at the following address: www.havasedition.com. HAVAS EDITION reserves the right to momentarily interrupt or suspend access to the Site or to change the access due to maintenance or for any other reason, without this entitling the User to claim any compensation. To use the Site, the User must have computer equipment compatible with the minimum technical specifications of HAVAS EDITION. Before any use of the Site, the User must ensure that his computer equipment is compatible with the use of the Site and the products and services accessible on the Site. HAVAS EDITION is in no way liable if the User cannot access the Site. The Site is the exclusive property of HAVAS EDITION. The Site and all of its content, including text, fixed or animated images, database, programmes, etc., are protected by copyright. HAVAS EDITION is the owner and/or has the authorisation to use all of the rights on logos, trademarks, distinctive signs, text, illustrations, photographs, images and videos as well as the databases and software used during operation of the Site. HAVAS EDITION only grants Users of the Site an authorisation to view its content on a personal and private basis, to the exclusion of any other viewing or public circulation. The authorisation to reproduce content is only granted to Users in a digital form on their computer for the purpose of viewing the pages through their browser. A printout is authorised for the purposes of a private copy for the exclusive use of the copyist pursuant to article L122-5 2 of the French Intellectual Property Code. Any other use not expressly stated is not permitted and requires the prior agreement of HAVAS EDITION. Users can create a link towards any page of the Site for non-commercial purposes and this in compliance with the legal or regulatory provisions in force and insofar as this does not harm the reputation of HAVAS EDITION or that the User does not make any profit from it. The link site (hereinafter the “Link Site”) must not circulate content of a pornographic nature, contrary to public decency, insulting, racist, discriminatory or consisting of incitement to commit crimes and to hate based on race, religion, gender, appearance or of any other nature, or comprising any false, inaccurate or erroneous declaration on the Site and/or on HAVAS EDITION. Users are expressly prohibited from creating a link to the Site in a way to suggest any form of association with, approval or support of HAVAS EDITION that does not exist. Users must not remove or conceal by framing or other, advertising, and more generally any content published on the Site. the Link Site must be in compliance with the law and cannot circulate content that is (i) illegal, harmful or that contravenes ethics or public decency (pornographic, violent, racist, etc.) and (ii) of a nature to mislead or deceive Users about HAVAS EDITION or about its activities, products and services. HAVAS EDITION reserves the right to remove the link authorisation at any time and without notice. In all cases, if one of the above conditions is breached, HAVAS EDITION will immediately and without notice remove the link. HAVAS EDITION will do its utmost to provide Users with up-to-date and recent information. However, HAVAS EDITION is not liable for errors, omissions or results obtained due to misuse of this information. Equally, HAVAS EDITION cannot be held liable for the messages, content or information that it did not directly write. HAVAS EDITION undertakes to correct errors or omissions when they have been brought to its attention, and more generally to change at any time all or part of the Site as well as these provisions without its liability being able to be incurred due to this. The downloading of any materiel during use of the service will be at the risk of Users. Users will be solely responsible for the damage suffered or caused by their computer or all losses of data following this download. More generally, HAVAS EDITION can in no case be held liable in the event of direct and/or indirect damage resulting from use of this Site. The User undertakes to comply with all of the laws and regulations in force, and notably not to put online, communicate or send information, content, images or messages likely to be considered as insulting, defamatory, racist, contrary to morality or public decency, pornographic, discriminatory or consisting of incitement to commit crimes and to hate based on race, religion, gender, appearance or of any other nature. Such content will be immediately removed by HAVAS EDITION. The User undertakes to comply with third party rights and notably intellectual property rights and the right to privacy such as set out in the “Intellectual Property” article above. The User also undertakes neither to alter the operation of the computer systems nor to steal or misappropriate the identifiers, names or attributes of other Users, and in general not to carry out in any way whatsoever any action of a nature to create confusion in the minds of Users. The User undertakes not to adopt behaviour of a nature to harm the image, interests and rights of HAVAS EDITION or of a third party, or carry out any action of a kind to damage, alter, interrupt, overload, or hinder the normal operation of the Site. If the General Terms and Conditions of Use are breached, HAVAS EDITION reserves the right to limit, suspend and halt the User’s access to the Site and to take all the technical measures to this end. The User is solely responsible as to the use that he makes of the services available on the Site whether it is by free access without identification or from his account. The User is liable for the content, messages, information or images that he puts on line and will be held liable for all direct or indirect damage of any kind whatsoever, caused by any use of the Site or any other breach of these General Terms and Conditions of Use. The only data that we are required to know about Users are those sent by email by the User when he wants to contact us via the contact email address stated on the Site. Pursuant to the French Data Protection Law, Users have a right to access, oppose, rectify and delete their personal information. Internet users can exercise this right by writing to us at the following address: media.poche@havasedition.com, or by email at the address of the head office of HAVAS EDITION, 29/30, quai de Dion Bouton – 92800 PUTEAUX. The data that the User is required to communicate to us when he contacts us will only be used by HAVAS EDITION for the sole purpose of answering his request, in no case will these data be used for commercial purposes or sent to a third party, except in the case of a contrary legal or regulatory obligation. HAVAS EDITION does its utmost, under a general obligation to provide the means to ensure internet users have a secure Site. HAVAS EDITION accepts no liability for any technical faults linked to use of the Site. 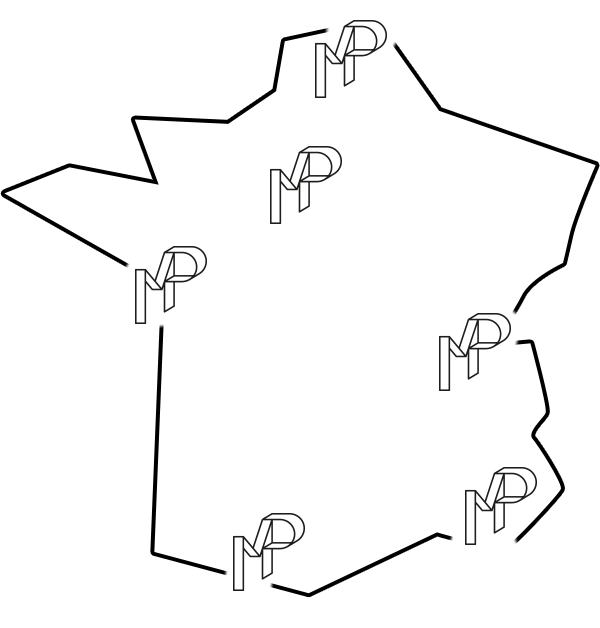 The use of the Site is governed by French law. Any dispute that cannot be settled amicably between the parties will be brought before the competent French court.